Irn-Bru brouhaha - will recipe change damage the brand? January 10, 2018, 3:36 p.m.
Lovers of Irn Bru were said to be panicked by the news that the Scottish fizzy drink brand is to change recipe to avoid contravening the new ‘sugar tax’ regulations. The brand has punched above its weight for years, especially in Scotland, where it out-performs huge international rivals such as Coca Cola and Pepsi. YouGov Profiles data indicates that of those that have purchased Irn Bru within in the last 30 days, almost half (48%) live in Scotland, just over a fifth (22%) are in the North of England, with 9% coming from the Midlands. As we would expect, the brand’s Impression score is a lot higher among Scottish consumers, but this means that the drop here is even more pronounced north of the border. Looking at this group specifically, Irn Bru’s score has decreased by 8 points, from +33 to +25. It is certainly a story that Scottish people are noticing. 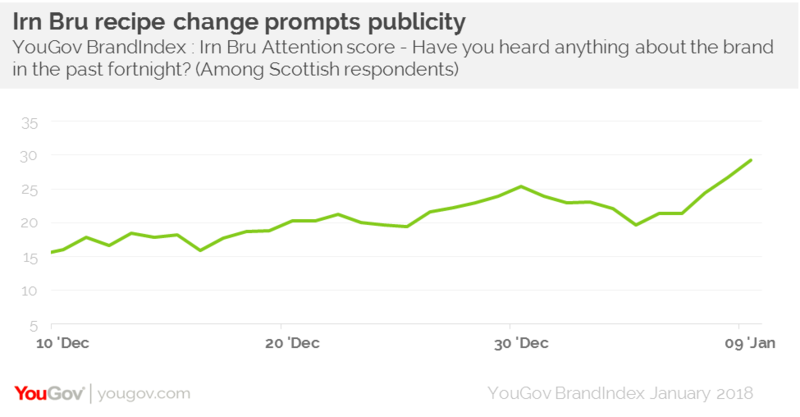 Irn Bru’s Attention score (whether someone has heard something about the brand in the past fortnight) has risen notably, from +19, to +29. Of course, one concern, especially for those stocking up on the existing product, is whether the taste will be the same after the changes. In England and Wales, Irn Bru’s Quality score (does a brand represent good quality?) has remained relatively stable, around the -3 mark. However, in Scotland it is a different story once again, with its Quality score falling from +21 to +17. 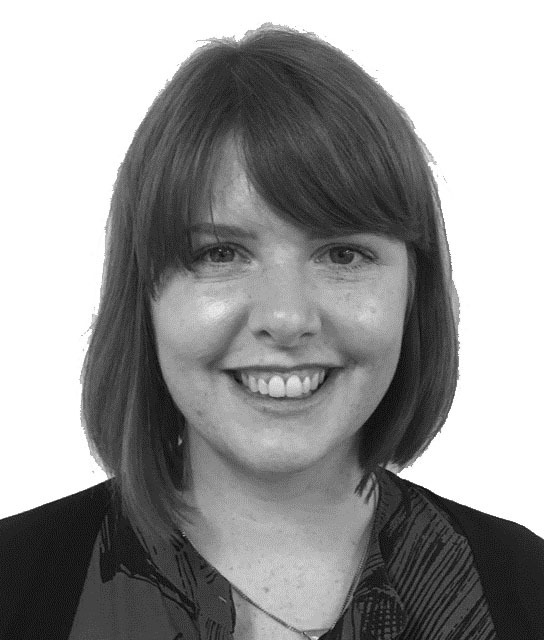 Looking at the Sugar Tax issue, our Custom research data from March 2016 indicated that over six in ten (62%) were in support of the idea, against 27% that said it was the wrong priority, which strikes at the sometime contrary nature of consumers, where they can be in favour of an idea in theory but can be less keen when it comes into contact with their daily lives. Of course in all likelihood Irn Bru will continue to be popular, especially so in Scotland, particularly once they are able to placate those worried about changing taste. It does present an opportunity for Irn Bru to reintroduce or update its quirky and humorous advertising strategy, which has been so successful for the brand in the past.